The answer is YES! The wrong foods could be making your dog sick with anything from allergies to diabetes to autoimmune disorders to obesity. Lucky for dogs people are becoming more and more educated about what constitutes a healthy diet for dogs. Find out more in this informative article from Small Animal Nutritionist, Alla Koegh. Those of us who have done any research into the human food industry know that there is a great deal of misinformation about what goes into what we’re eating. The same goes in the pet food industry. The majority of pet foods cause, rather than prevent, disease. Those of you who have read our articles or attended our seminars know that the pet food industry’s mission, contrary to advertising, is not to create a high quality species-appropriate diet for your dog or cat, but in fact to generate huge profits, unfortunately often at the expense of your pet’s health. For example, the scrap meat that is deemed unfit for human consumption (because it contains tumors, abscesses, diseased tissues, etc.) is often treated, and labelled as “protein” in pet food. The reality is that if you feed a mass marketed commercial pet food, your dog or cat is typically getting a cheap, poor quality combination of leftover animal parts that include not only diseased meat but also things like beaks, feathers, snouts and feet, not to mention a whole host of other inappropriate ingredients like genetically modified (GM) corn, soy, wheat and rice. When you chose an Australian-made locally sourced product, not only are you supporting the growing Aussie pet industry and keeping your money within Australia, you are also ensuring the food you’re buying for your fubaby complies with our strict quality and hygiene standards and is free of the harmful, and sometimes fatal toxins and chemicals contained in imported pet foods. Irradiation, a heating process that most imported pet foods are subjected to upon their entry into Australia, is scientifically proven to have health risks. Irradiation changes the molecular structure of food, forming toxic chemicals linked to genetic mutations, vitamin deficiency, immune system disorders, tumours, stunted growth and reproduction problems. If you buy an imported pet food brand, please check with the manufacturer to see whether the product is in fact irradiated or manufactured in an AQIS approved facility in its country of origin. Grain-based carbohydrates form the basis of most commercial pet foods. But your pet was not designed to eat grains. As carnivores, cats and dogs do not have a carbohydrate requirement at all, and by feeding them species inappropriate diets containing wheat, rice and other grains we are compromising their metabolisms and causing their bodies to degenerate faster than they should. Why do most pet foods contain grains if they are not necessary for your pet’s nutrition? Sadly, it all comes down to profits. Grains are cheap fillers, and this is why they’re added to most pet foods. Real meat-based food like FoodiePooch costs a great deal more to manufacture, and what most pet owners don’t realise is that by spending less on high quality meat based food, they are actually paying more at the Vet’s in the longer-term. Think about it in terms of your own lifestyle – would you rather eat healthy and stay away from the Doctor? Or consume junk and suffer the consequences down the track? Lots of high end kibble manufacturers are now marketing “grain-free” varieties. But read the ingredient label closely – these will often still contain carbohydrate-based fillers such as vegetable “fibres”. And many Vets will still argue that carb fillers such as these are “excellent sources of energy”. But are they really? 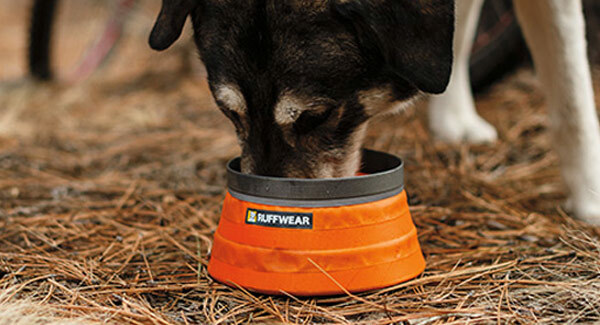 Another ingredient often touted as an ideal food for pets is rice. Often causing intolerances and contributing to skin problems, we only recommend rice as part of a bland treatment diet for sick or convalescing dogs, for a short period of time. Rice should not form part of a dog’s staple diet. Is your GP a Nutritionist? No? Well neither is your Vet. The small component of Animal Nutrition studied as part of a Veterninary Science degree is not taught by a nutritionist, but typically by a representative of major pet food companies, and as a result most vets graduate without having any unbiased nutrition information. Vet students aren’t taught what to look for in terms of nutrients to support health and healing… they are however taught to “prescribe” a certain brand of food. This might explain why your vet tells you to only feed your pet a certain grain-heavy “prescription” diet, or to avoid offering “people food” (even if it’s healthy, species-appropriate food for your pet). Hands up if you’ve ever tried to discuss raw or natural feeding alternatives with your vet, only to be met with defensiveness or resistance? Read Dogs Naturally Magazine’s article (http://www.dogsnaturallymagazine.com/give-them-meat-raw-dog-food/?inf_contact_key=ed1ce869969b456d2ac25dbe053d0f2f54876fbe0d1630ef79389a368f0e941c) on why this might be the case. Fuelled by a passion for great food and a keen desire to offer pets and their parents the very best choices when it comes to their diet and health, Small Animal Nutritionist Alla Koegh formulated a new line of high-quality, human grade, natural, grain and preservative free pet meals. 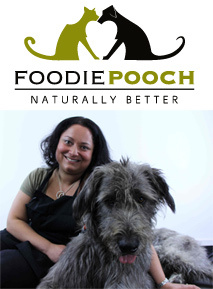 FoodiePooch‘s product line consists of dehydrated meals for dogs and cats. All ingredients are Australian grown, and products are manufactured locally in Prime Safe licensed premises in Melbourne’s inner South-East.